I am without a plan, here. Obviously, the moratorium on scale updates continues this week. I have been feeling stressed out by the thought of uploading the weekly weigh-ins. Funny to feel this way for the first time more than a year into this project. Stay tuned while I work through whatever is going on in my head. 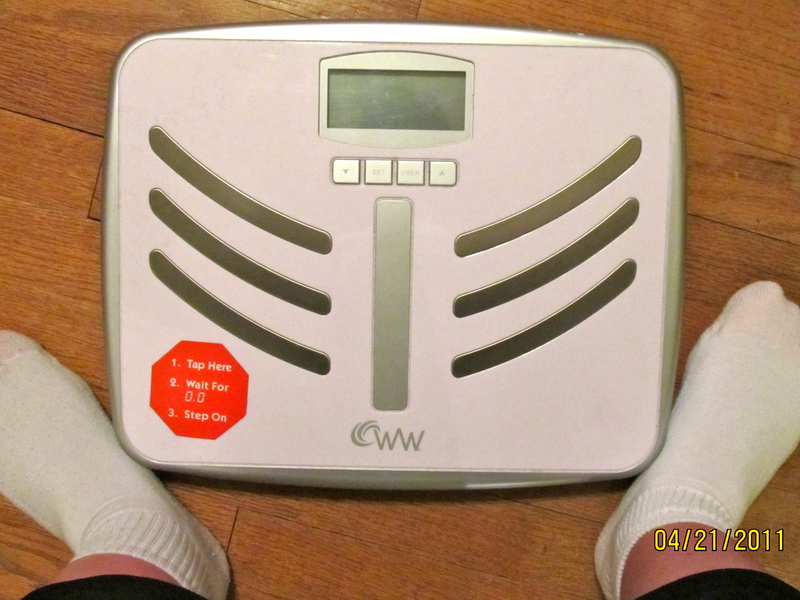 FYI, the scale this morning actually read the exact same as last Thursday. I think you are allowed a break from emotional nudism whenever you want to take one. Live your life for yourself, not for the viewing of others for a while. That doesn’t mean you have to gain weight. “Emotional nudism?” I laughed out loud when I read that characterization of what I’ve been doing! I absolutely LOVED your comment. I am so lucky to have a sister…I mean anonymous person…who is so lovingly supportive. I’ll get on the scales, but that doesn’t mean I have to love it/them. Glad it made you laugh, Jen! But I can’t take credit for that delightful phrase. My walking pal and accountability-partner friend, Valerie, uses this to describe our honesty with one another, especially regarding our own sin. In the context of discussing the importance of confrontation and confession, she told me once something like, “Well, not everyone enjoys being emotional nudists like we do.” It made me laugh, too! And now you’ve given me the opportunity to use it. Thanks, sis!